This restaurant waitress podium offers sturdy wooden construction with a stylish black finish and enclosed storage for supplies, menus or accessories. 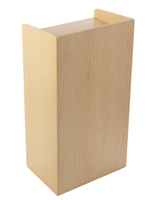 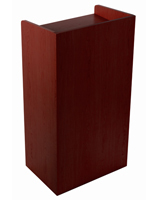 Each 40" tall checkout or hostess stand is ideal for hospitality or dining environments. 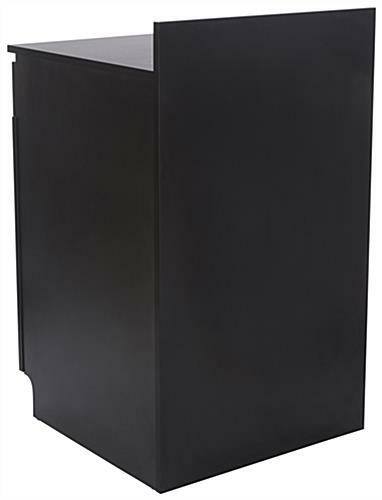 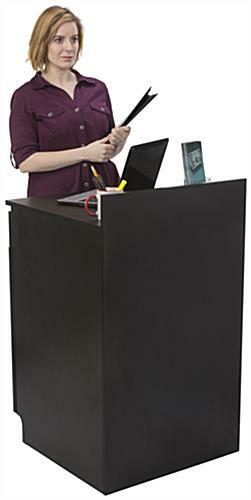 The black laminate waitress podium offers a 24" wide flat top with privacy backstop. 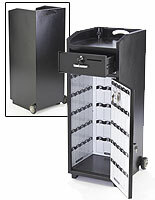 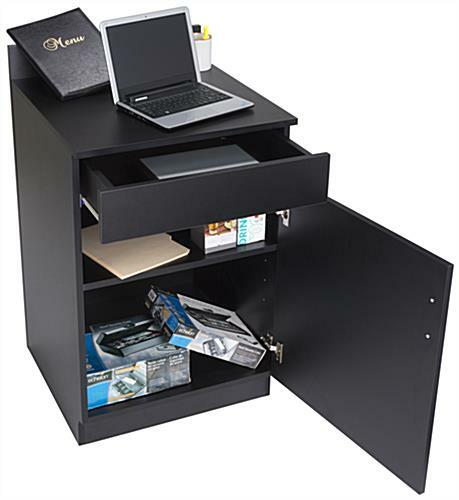 The rear of this checkout stand features a pull-out drawer for personal items or staff supplies as well as a cabinet with swing-open door and enclosure with adjustable height shelf. 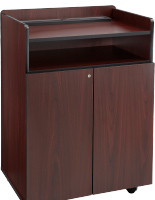 This flat-top waitress podium offers space for storing menus or personal staff items as well as a functional workspace for customer service or checkout. 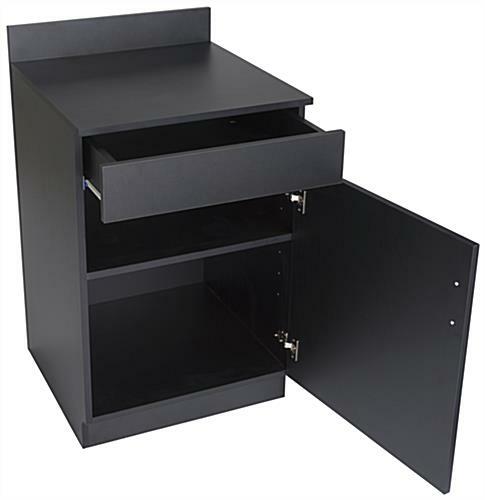 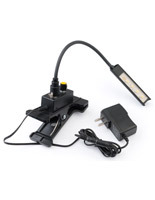 This versatile fixture is an economical addition to any business environment and can be used as a hostess stand, customer service station, cash register stand with an extra work surface for staff as needed. 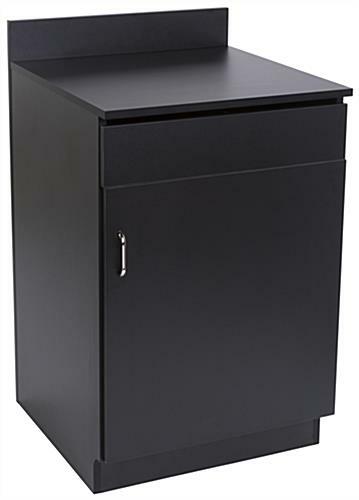 22.0" x 40.0" x 24.5"
19.8" x 3.8" x 19.8"